1. In my large lecture class at Boston University on the history of journalism, I had a student who was also a member of B.U.’s Division 1 men’s hockey powerhouse. On the first two tests of the term, he got failing grades. I noticed and suggested that he come see me during office hours to discuss steps he could take to improve. He replied that he could not come to office hours because they conflict with his practice schedule and his coach would not tolerate an absence (even for a few minutes to talk to a professor!). Why, I thought, is the coach more important on a college campus than a professor? But I let it go and changed my schedule so I could meet with this student one morning. He described his schedule of practice and travel to out-of-town games, and it became clear that he just didn’t have time for his classes. Essentially, all the top men’s hockey programs make up a development league for the NHL. 2. In the same class, I had a young woman who was a member of B.U.’s swimming and diving team. Again, practice and travel time would interfere with class. But in this case, there was an added wrinkle: concussion. Turns out, this student had taken enough blows to the head in diving that she could not read, study or do a lot of other things that are pretty central to being a student. During her recuperation, she rushed back into the pool too early and suffered a second concussion. She managed to pass the course. Now, here’s proof that I don’t know everything: the golfer ended up with the highest grade for term! 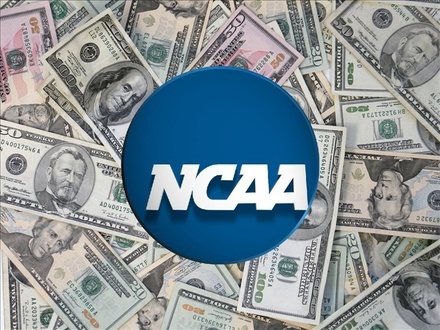 The NCAA is in desperate need of reform, there is no denying that. It is far from being a perfect institution and changes need to be made for the sake of professors, school administration, coaches, and athletes. However, the NCAA has done a lot of good for countless people, and has opened doors for thousands of students who truly deserve it. As per your first point, I am surprised that you would accept the excuse from your hockey player that he could not miss the first half hour of practice for office hours. The new hockey coach–and I know this from speaking with many current players–would absolutely allow this. Your isolated incident is a reflection of that one student, not the NCAA. There have been plenty of BU hockey players who made the extra effort to work around their practice schedule and ended up graduating near the top of their class. I know that this should not be your responsibility, but perhaps increased communication between professors and coaches could remedy some of these problems. As for your golfer, given all of the circumstances working against her she managed to outperform your non-athletes–well done! There are skills learned while participating in a Division I team that are just as important as skills learned in the classroom in terms of employment marketability. In fact, during my employment experience after graduating, about 90% of the skills I make use of at work come from what I learned as an athlete, and maybe 10% comes from what I learned as a student (and I wouldn’t have gotten the job if it weren’t for my sports experience). You were and still are one of my favorite professors, and about 7% of that 10% comes from what I learned from you. Shocking, how I managed to ace every class I took with you and make it to office hours each week despite my practice and competition schedule! It was being the captain of a team, learning proper leadership, time-management, discipline, responsibility, teamwork, and a fierce loyalty to teammates and sport that makes me a successful employee today. I agree that there are a number of student-athletes who take advantage of their excused absences for practices and games, but I believe there are more who do not. Competing in a sport at the NCAA level has a value that goes far beyond just keeping fit (something you mentioned as collegiate sports’ sole purpose in a previous post). After all, there must be a reason why so many companies say they specifically look for former student-athletes when they are hiring. I have the NCAA to thank for the high-quality education I received. After my acceptance to BU (and my application was not flagged as an athlete, as per my own request), I was elated to be part of such a prestigious institution. After my first year, my financial situation changed drastically and I would not have been able to stay at BU without help from the NCAA. The NCAA is a very flawed institution. There are changes that need to be made immediately, and many policies have to be reformed, especially in regards to the glamour sports. But without it, athletes with incredible potential who have given up so much to do what they love would not be able to pursue their version of success. Please do not ignore the thousands of student-athletes who sacrifice time, money, and often their own physical health out of passion for their sport and an unquenchable thirst for competition, and still manage to make the dean’s list. It is not easy for any student to maintain high grades at a school like BU, but it is especially hard for a student-athlete. And yet there are so many of us who managed to make every single office hour, turn in our assignments while we were on the road for games, graduated with honors, and were hired above those who were not NCAA athletes for the most competitive positions. Some people have a passion for ice hockey, or lacrosse, or business, or journalism. I believe everyone should be given every opportunity to follow their passion to the highest level open to them. You are a great teacher, and there are institutions in place that allow you to be great. Some of your students are great athletes, and possess a knowledge quite different to yours yet is equally as valuable. They deserve institutions that allow them to be great as well. The NCAA provides society with some of the most intelligent, committed, and hard-working employees. And it is not a pillar of belief in the NCAA that sport is more important than school–that is up to the students. Thanks for your well-considered, thoughtful, well-crafted response. You clearly got a lot out of BU. Let me push back just a bit. First, I believe that all students need exercise. Third, I believe that if some college students really want a lot of exercise, they could rent a bus and play against some local school. Fourth, I believe that college is too expensive and that financing one’s education should have no connection to whether a student can hit a golf ball or jump off a diving board. I would abolish all athletic scholarships and devote that money to need-based scholarships for academically qualified students. Finally, I believe that young people can learn the value and the skills of teamwork and leadership in many ways, other than intercollegiate athletics. So, I just don’t see what educational role the NCAA plays on campus.